Discover the keywords on the page and ensure that your copy targets the keywords that matter to you. 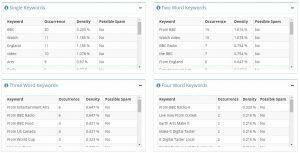 The Napier SEO analyser identifies the single, two, three and four-word keywords from the page, enabling you to optimize the copy to meet your SEO goals. Load time is now an important factor in search rankings. Our SEO tool measures speed for both mobile and desktop versions of your website, providing high-level metrics as well as in-depth statistics. 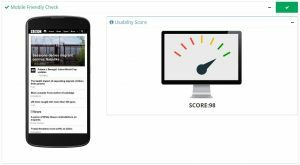 Our SEO analyser checks for compatibility with mobile devices, delivering a simple usability score. For more information, the analyser checks the viewport configuration and ensures the tap targets are appropriately sized to ensure a good user experience. 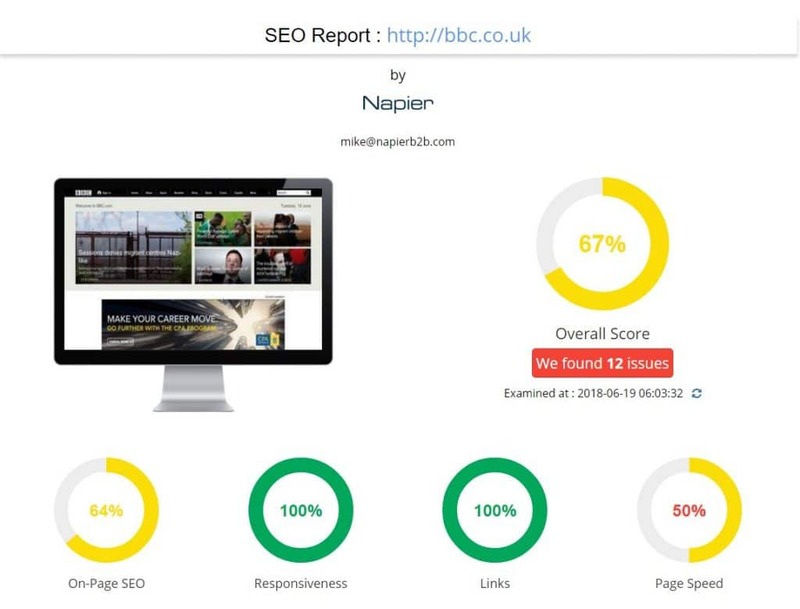 Get all the technical SEO information you need from the Napier SEO analyser tool. From redirects and response time to browser caching and minifying code, our SEO report will give you all the data you need.